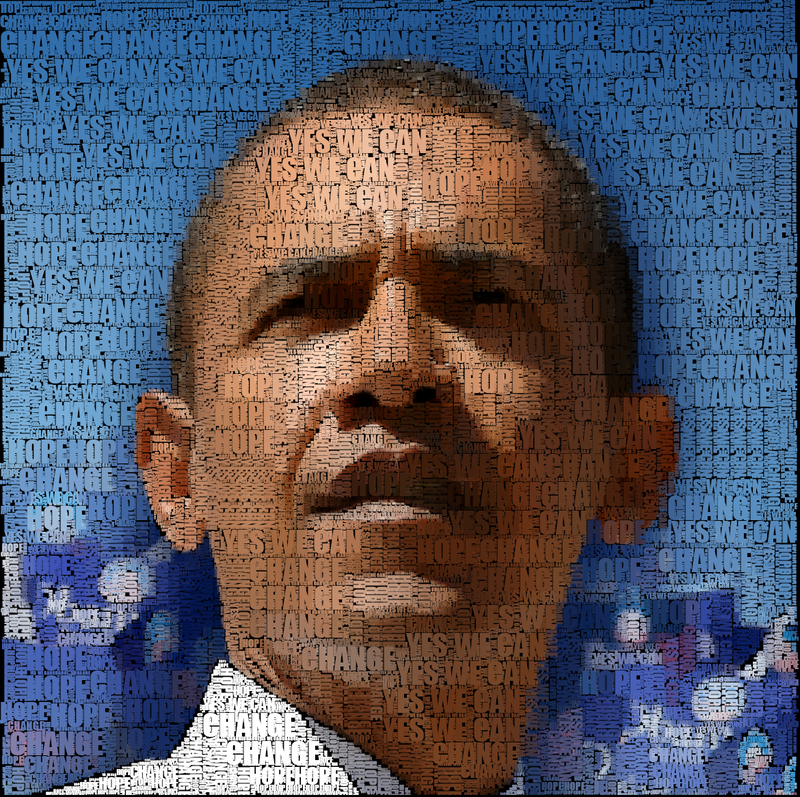 Just for the fun of it I've modified my word portrait code to create colored images. 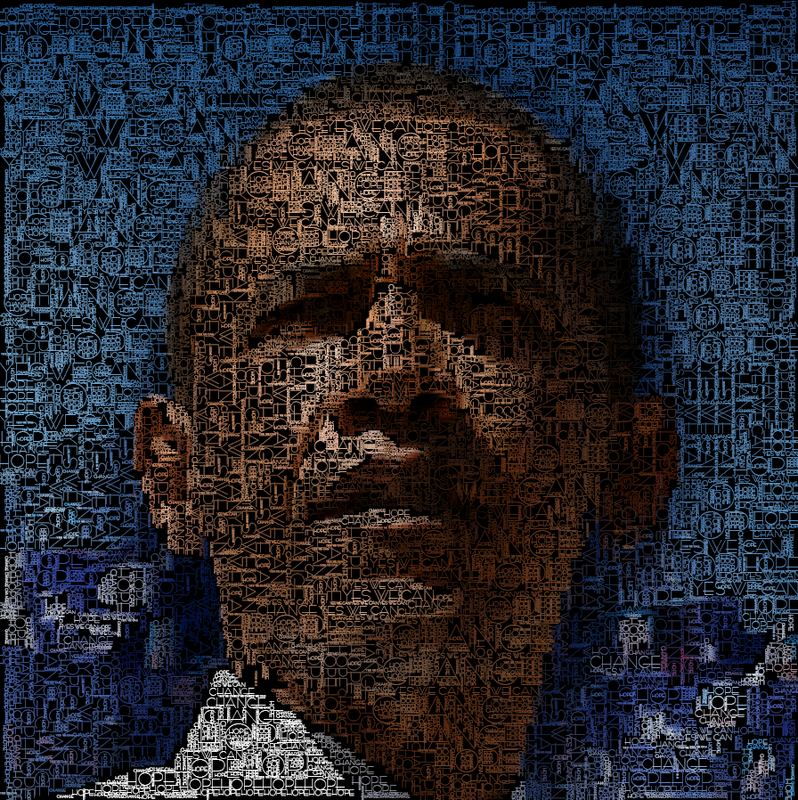 Here is one for Obama again generated from 'HOPE', 'CHANGE', and 'YES WE CAN'. These images also use vertical text which allows filling more of the available space. The font used in the image above is called Impact. Here is a second image created with a different font that is very thin - Bernhard Fashion BT.